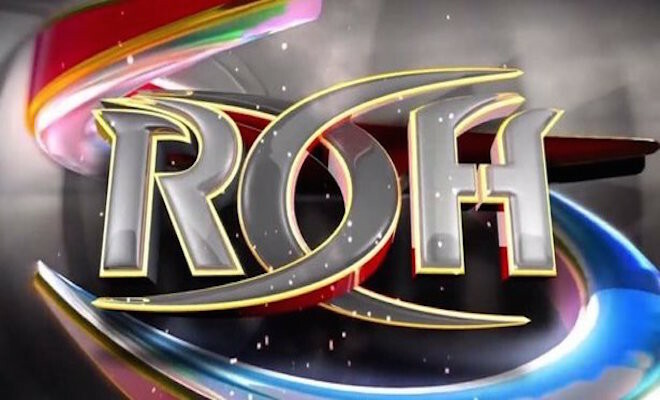 Another Wednesday has come and gone and Ring of Honor presented yet another solid hour of television, as the promotion once again made the most of its 60-minute program. To kick off the show, we got a decent match between Moose and Donovan Dijak. It wasn’t a technical masterpiece, but it did showcase the athleticism of the two big men. Both are still relatively new to wrestling, especially Moose, but while you can definitely see areas of improvement, you can also see the potential of them as well. The ceiling is very high for both. We then saw Dalton Castle’s first television appearance since losing his Boys to Silas Young at All-Star Extravaganza. Since he didn’t have his Boys, Castle didn’t have his usual flair for his entrance, as The Boys typically provide the peacock feathers. Instead, we got a t-shirt-wearing Castle who showed a lot more aggression. That aggression led him to a quick victory over Cedric Alexander. Next up was a promo in which ROH World Heavyweight and World Television champion Jay Lethal went face-to-face with Roderick Strong once again. Strong congratulated Lethal’s manager, Truth Martini, claiming that if it weren’t for him, Lethal would not be the champion he is today. Lethal took offense to Strong’s claim and began yelling at him. Strong then asked Lethal for one more match with Lethal, but Lethal was not willing to grant it. ROH matchmaker Nigel McGuiness, who was sitting at ringside doing color commentary in place of a temporarily exiled Steve Corino, told Strong that he couldn’t grant him a world title match given that A.J. Styles was already the No. 1 contender, but that he could grant him a shot at Lethal’s ROH World Television championship. McGuiness made it official, and the match was made. This gave way to the main event, as all three members of The Kingdom went against reDRagon and Michael Elgin in a six-man tag match. The match was fairly entertaining and ended with the good guys, reDRagon and Elgin, coming out on top. After the match, The Kingdom’s Adam Cole hit his opponents with the ROH World Tag Team titles before leaving the ring. reDRagon’s Kyle O’Reilly took the microphone and demanded a match next week with Cole for betraying him at All-Star Extravaganza. McGuiness informed O’Reilly that Cole was scheduled to face A.J. Styles and that he couldn’t contractually remove Styles from the match, but he could insert O’Reilly to make it a triple threat as the show went off the air.